Has been entered a handful of times and is clocking at the top of the futurity pack. This gelding is very broke and solid. He has all the buttons. His only vice is he is a cribber, but controlled with a collar. He is pretty and fast. Does not need exhibitions, he will run in there and find his barrels and do his job. Owners are keeping only the mares to run and this is the only reason this horse is up for sale. He is a big time prospect. 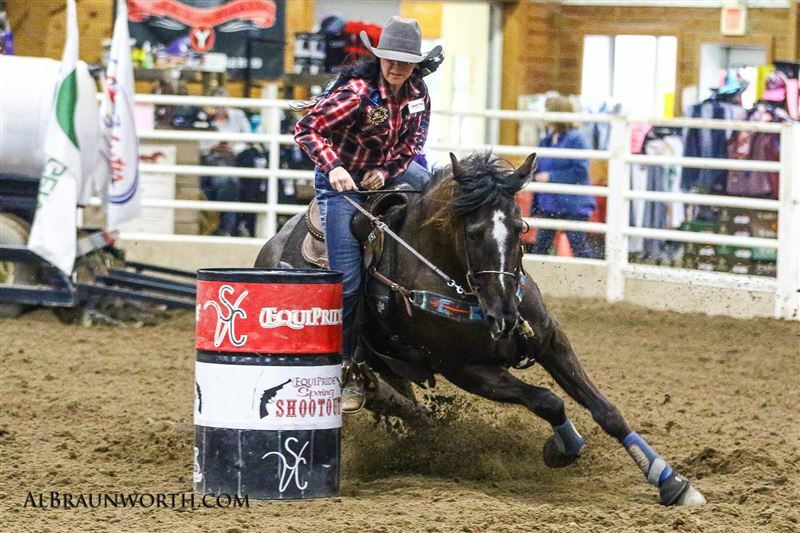 His dam RC Back in Black won 3 rounds with Jane Melby at the NFR. He is paid in full to Future Fortunes, is entered in several Northern Region Futurities coming up in May and June. Payments have been made for the BFA Futurity for December. Since we live in Minnesota, he had the winter off and was entered last weekend for his first outing of the year. He has been entered just a handful of times ran a 16.2 at the Juvenile in Oklahoma City last December. We will have him at the BBR Finals in Oklahoma City the end of April if anyone is wanting to come take a look. Serious Inquiries only, he is for sale, not on sale.